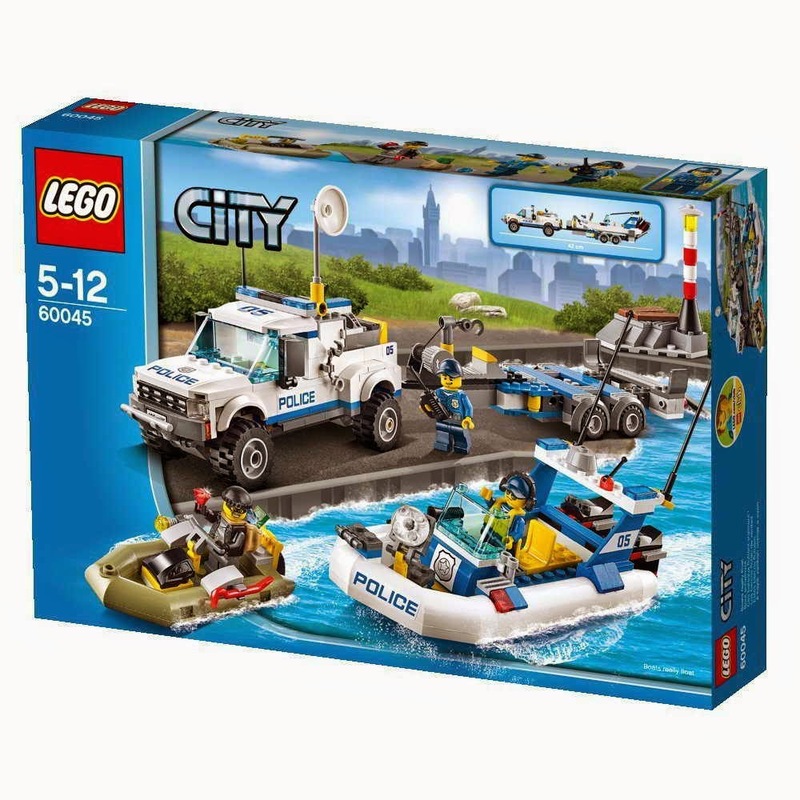 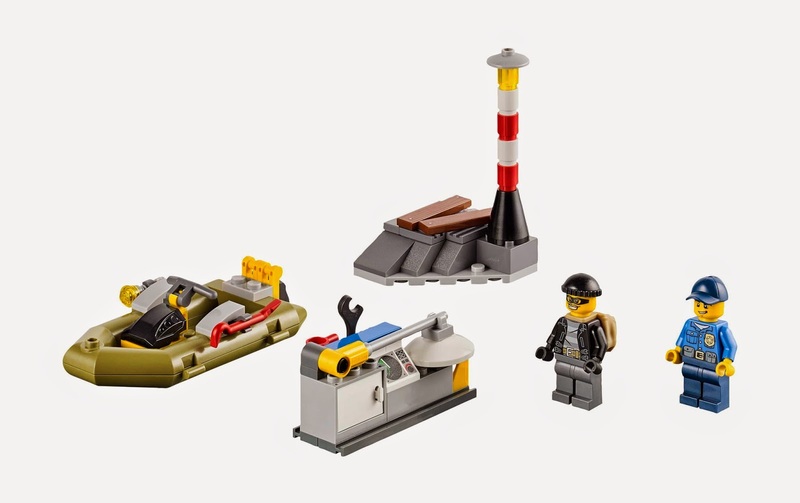 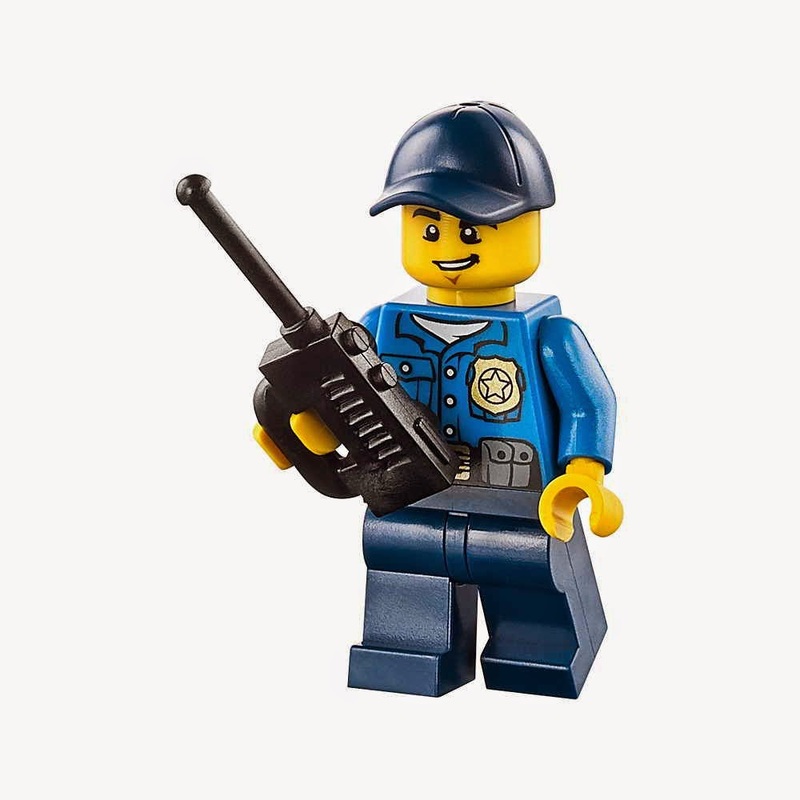 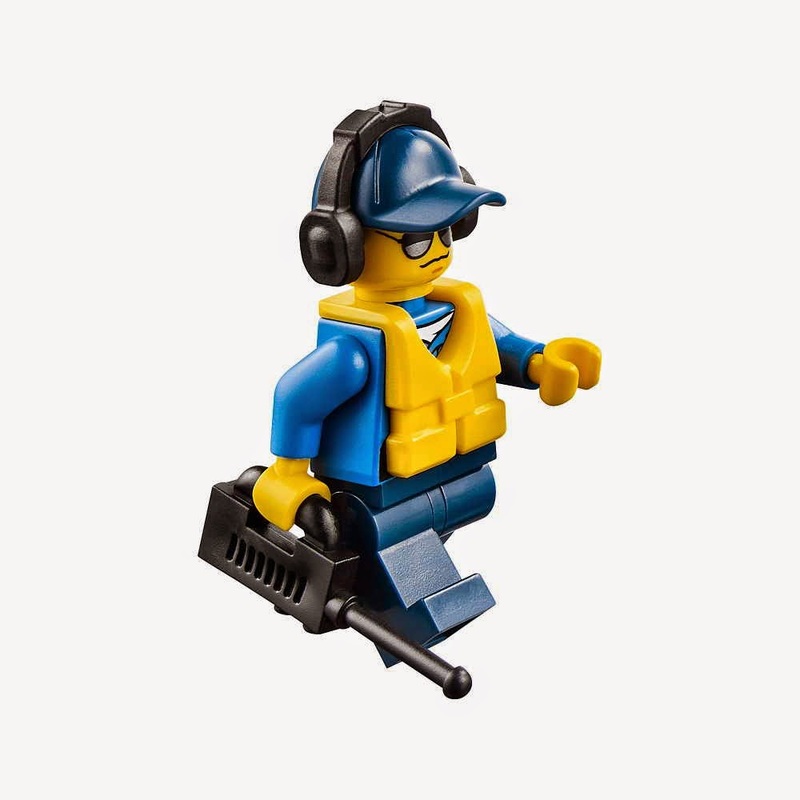 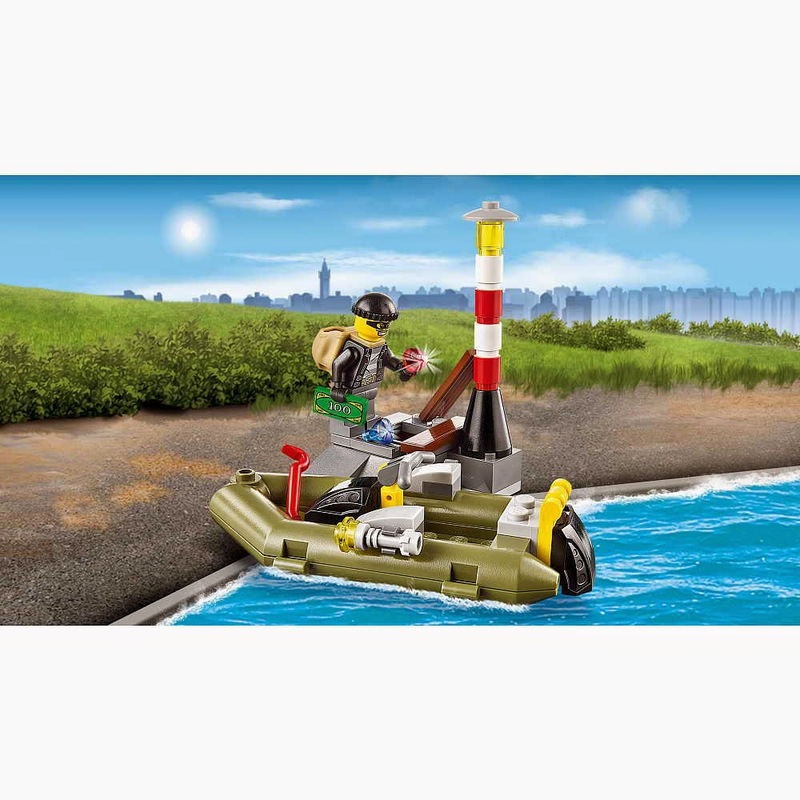 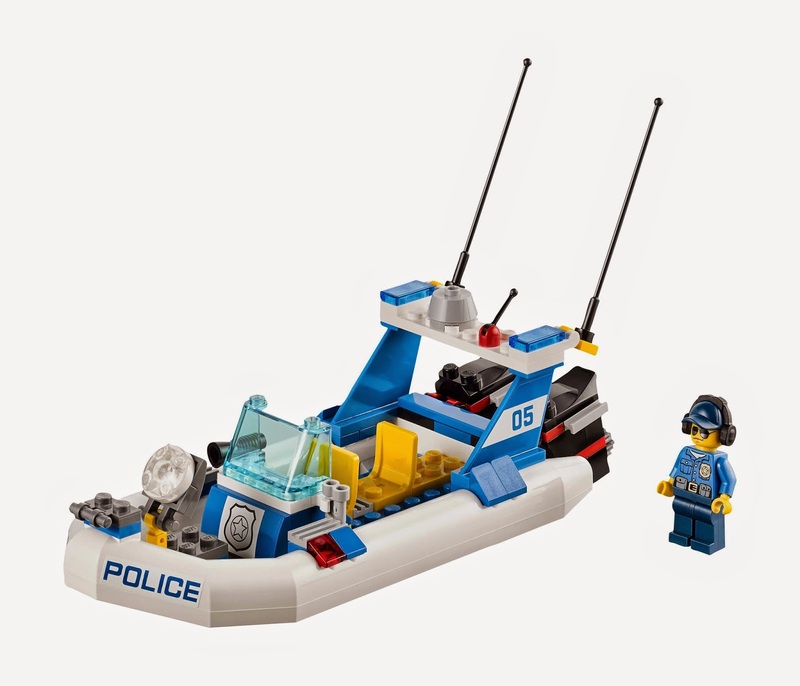 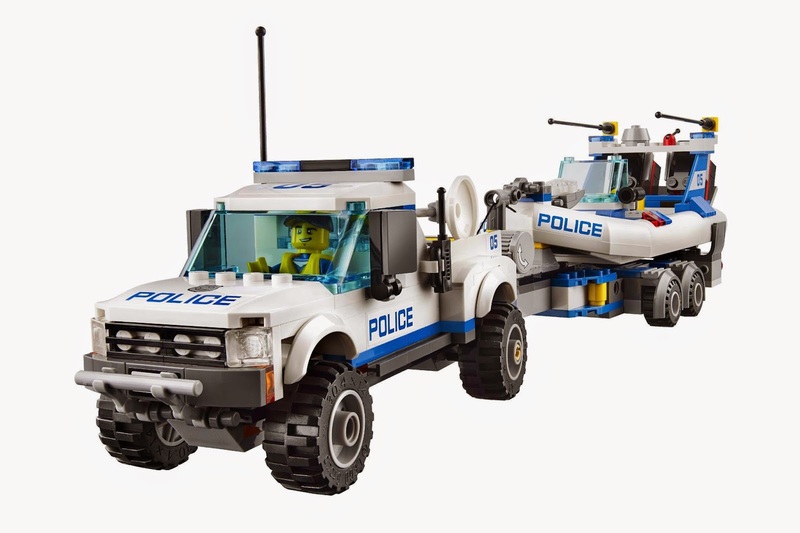 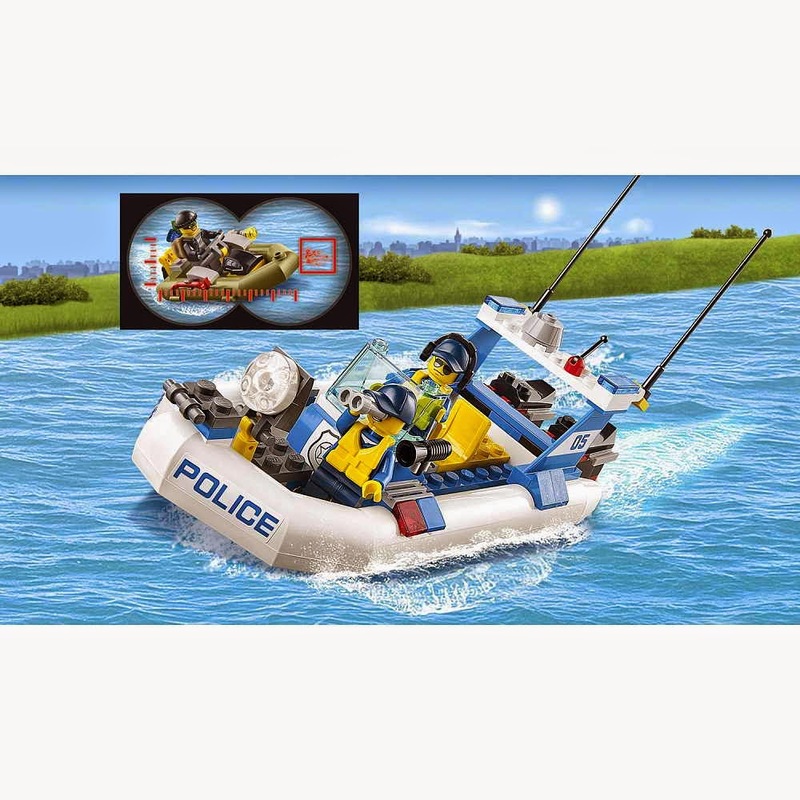 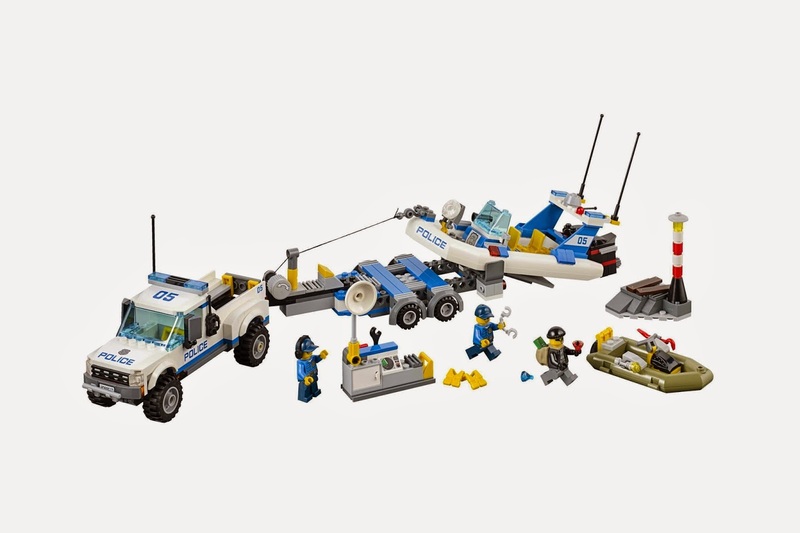 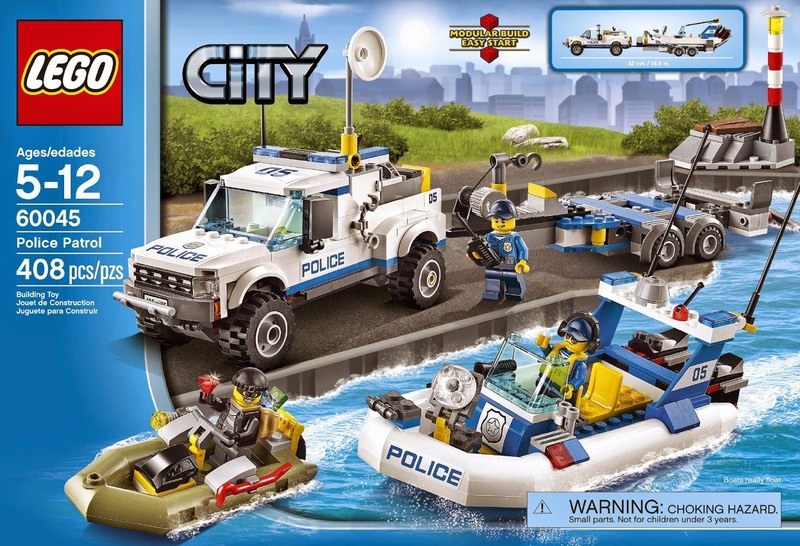 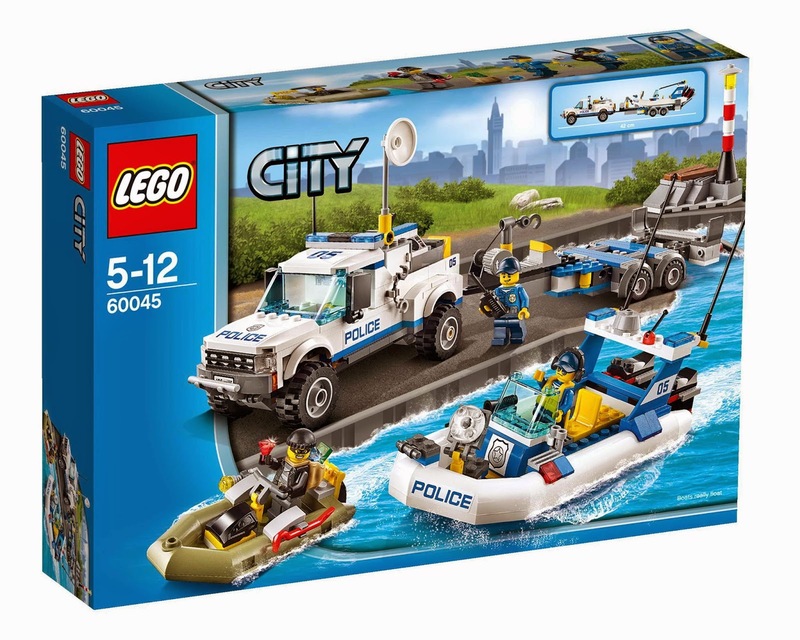 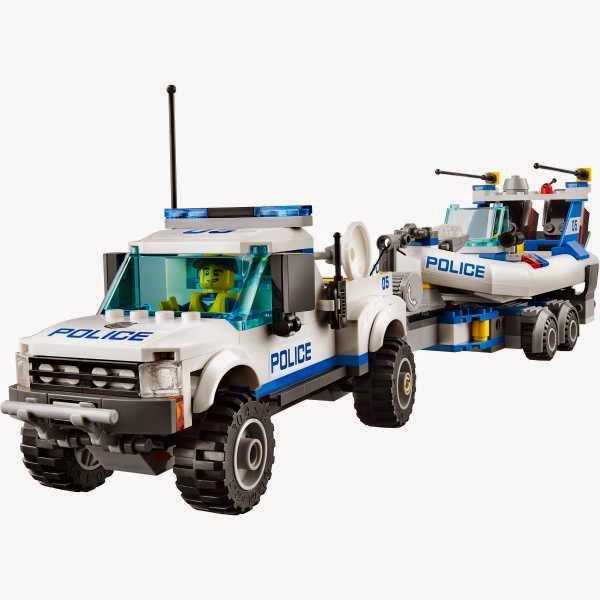 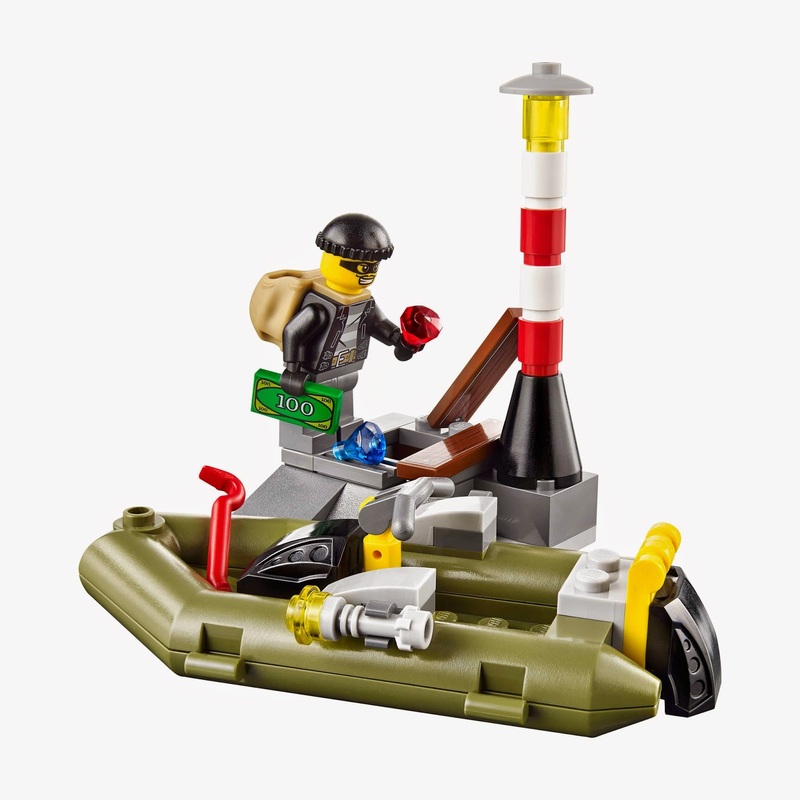 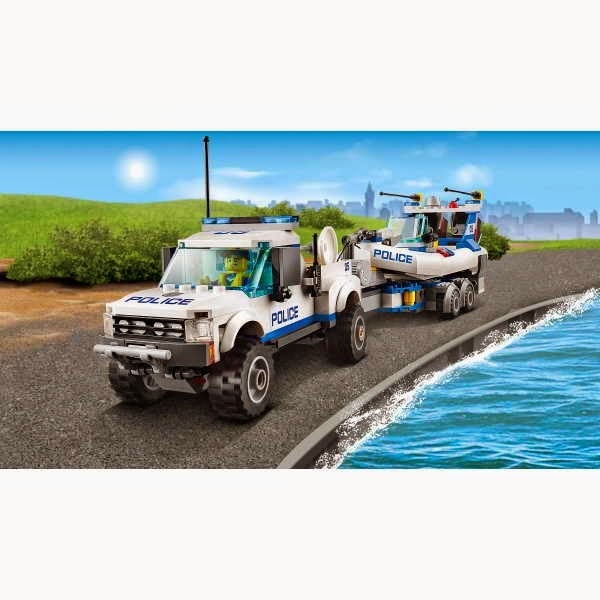 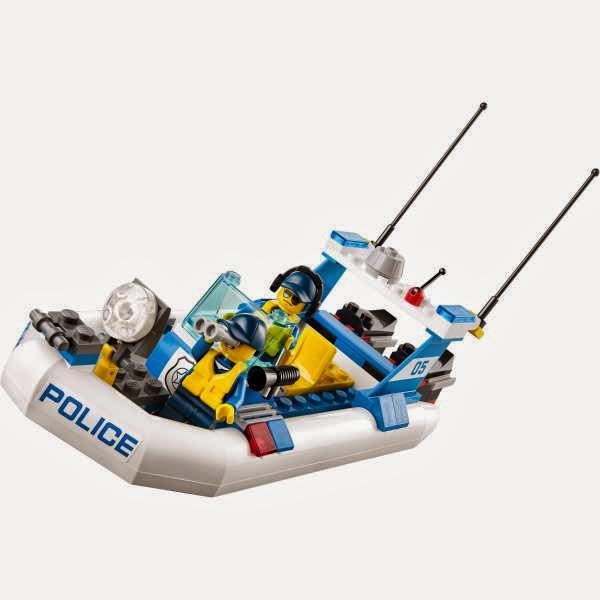 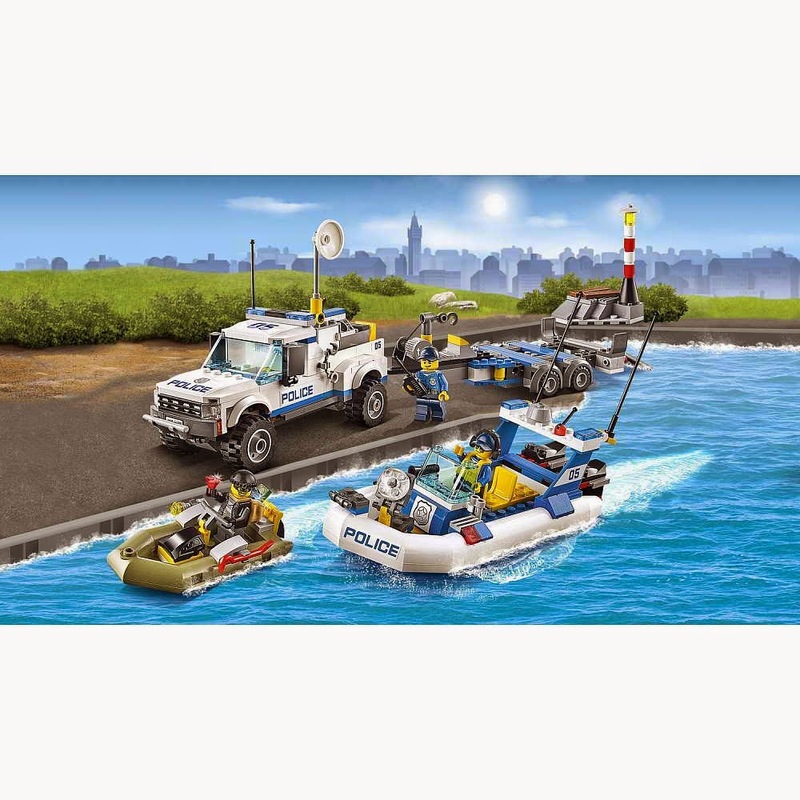 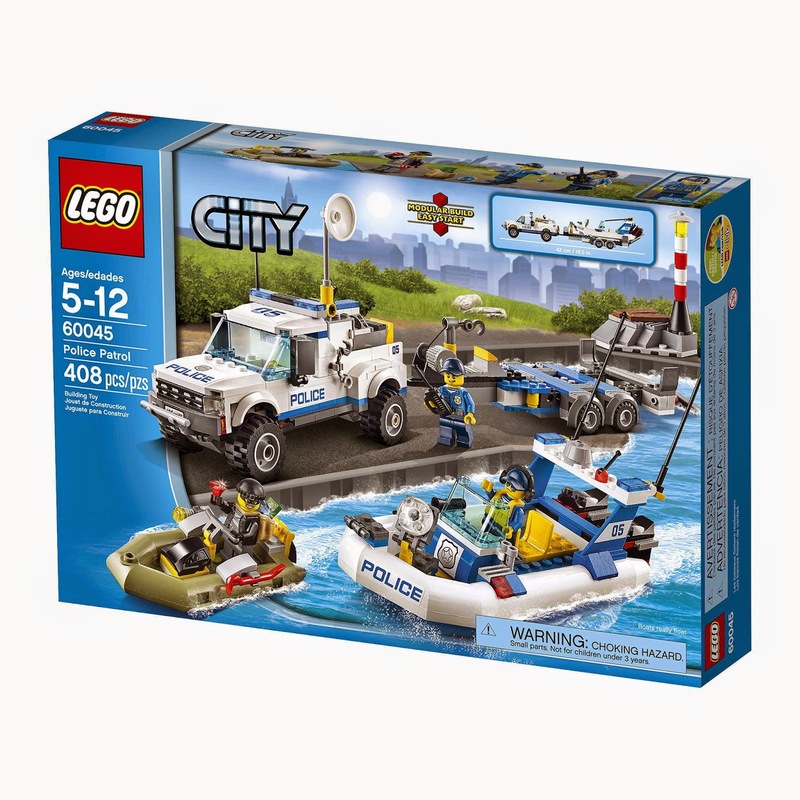 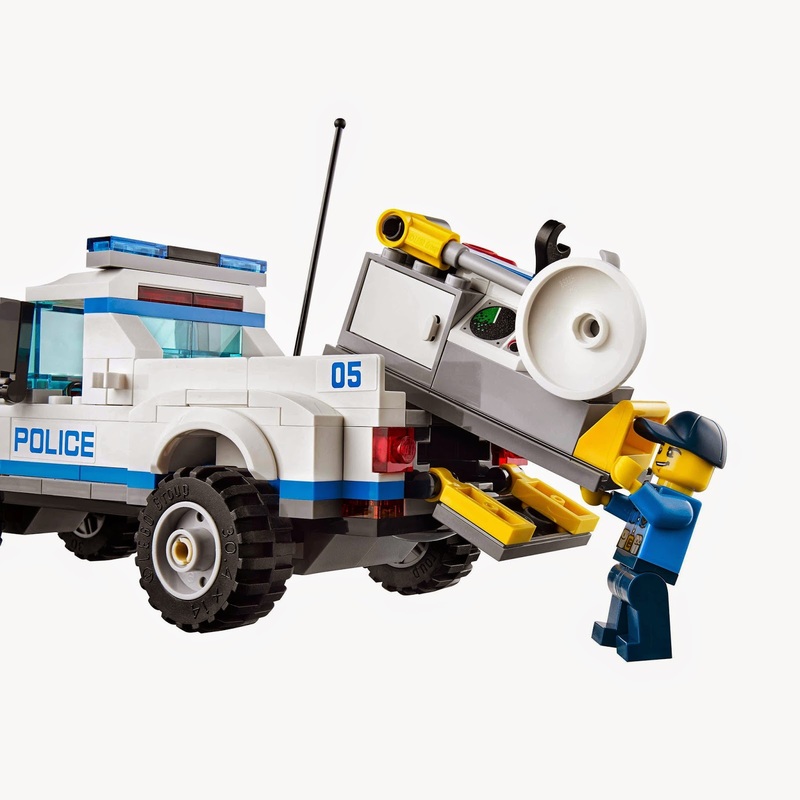 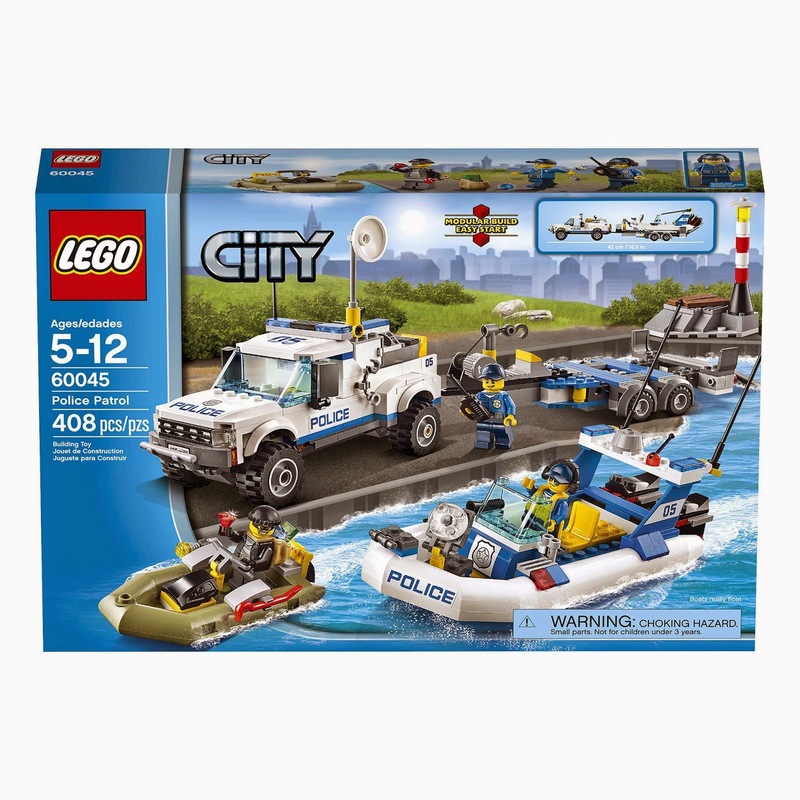 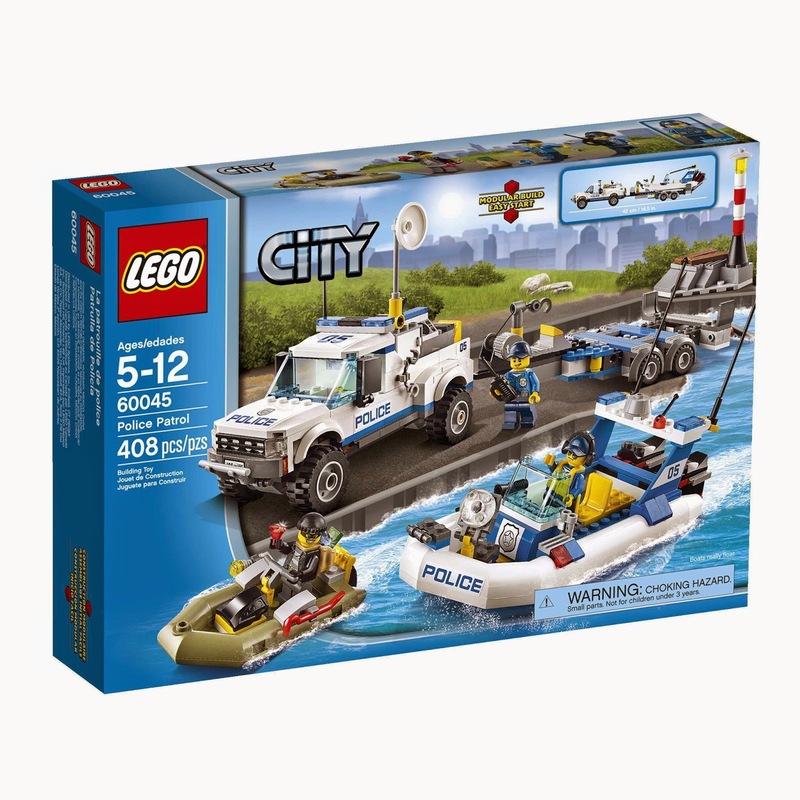 come with a police van with trailer, a police dinghy, a bandit dinghy, a surveillance station and a lighthouse hideout. 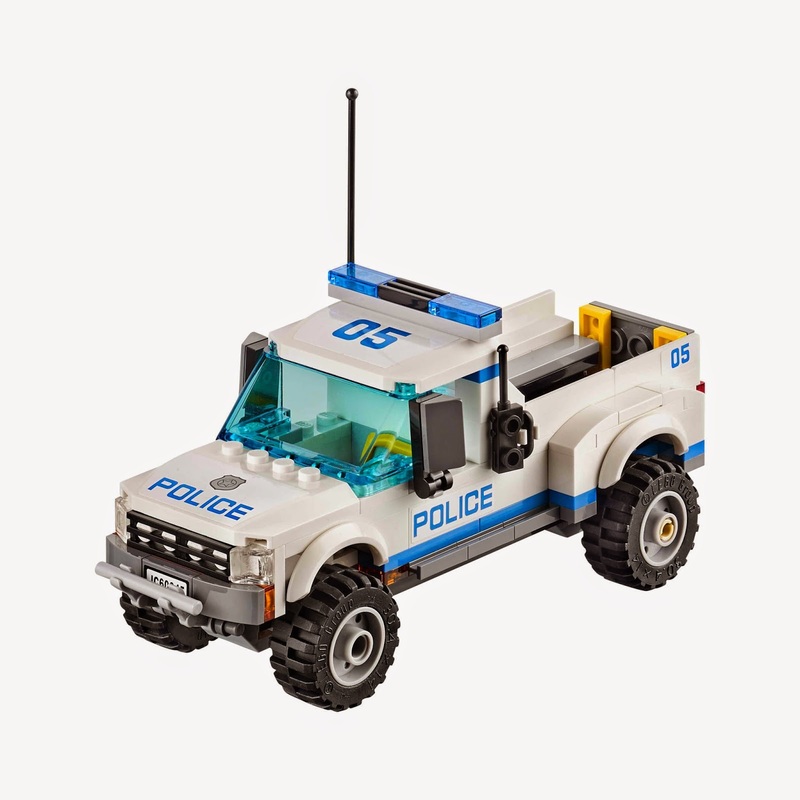 the van has big tyres and space for surveillance station. 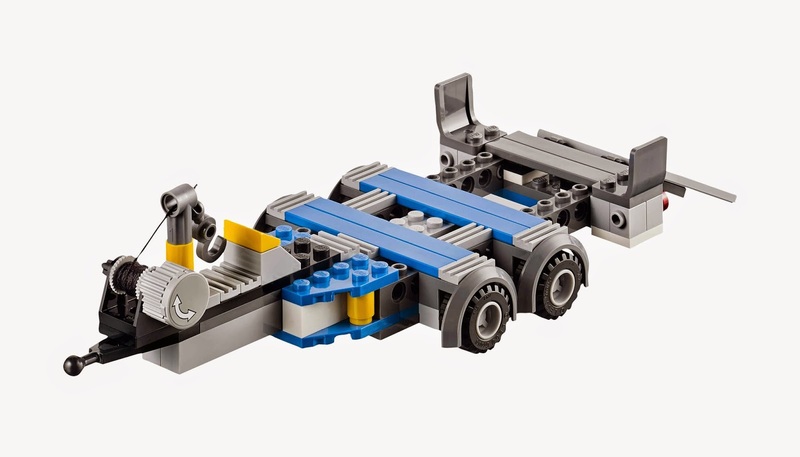 the trailer has a working winch. 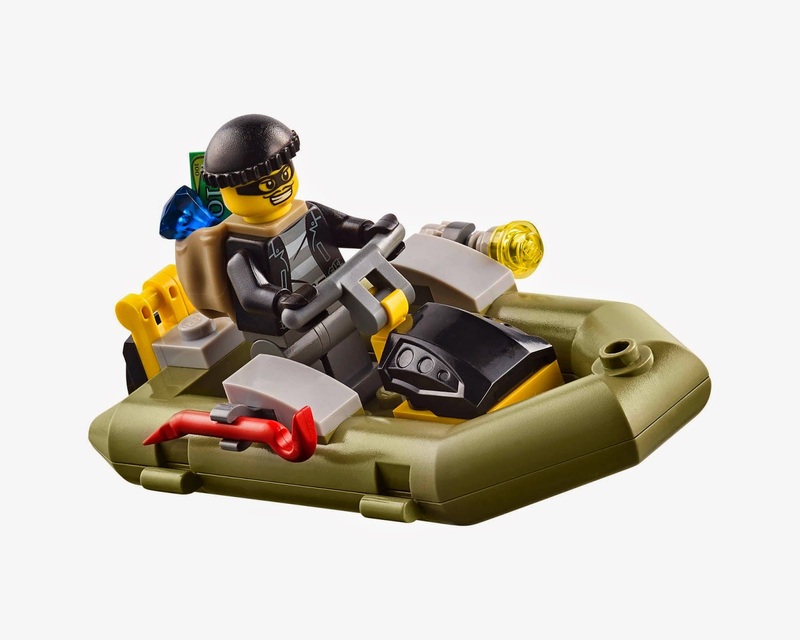 the dinghies can float on water.